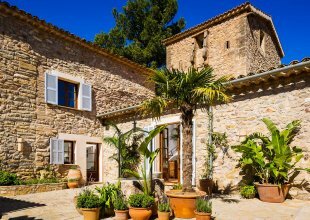 Villa Sa Punta de S'Aguila is located within the stunning 680 acre estate of Son Bunyola approximately a 40 minute drive from Palma. Son Bunyola is only a few kilometres from the traditional Mallorcan villages of Banyalbufar and Esporles where you will find a variety of restaurants, tapas bars and other local amenities. Located on the picturesque Spanish island of Mallorca, the estate of Son Bunyola covers 680 acres of stunning landscape on the northwest cost of the island, surrounded by grape vines and olive and citrus trees. Villa Sa Punta de S'Aguila is one of three luxury villas situated on the vast estate of San Bunyola, with Sa Terra Rotja and Son Balagueret completing the trio. Relax and unwind with family and friends in a tranquil setting that perfectly balances the need to ‘get away from it all’ with the opportunity to explore the great outdoors and sample some of the best the Balearic Islands has to offer. Villa Sa Punta De S’Aguila translates as ‘The Eagle’s Point’ and has been perfectly situated along a track above the sensational coastline, where it has been sympathetically built into the landscape and is approximately a 10 minute drive from the sister villa, Sa Terra Rotja. The luxury villa of Sa Punta De S'Aguila is great for families or groups of friends looking to escape the hustle and bustle and relax with stunning panoramic views across the Mediterranean coastline. 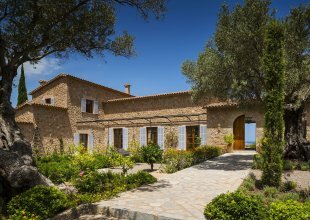 Sa Punta De S'Aguila offers 5 luxurious en-suite bedrooms to accommodate 10 guests in this stunning and spacious villa, which has been beautifully decorated in a traditional Mallorcan style. With each bedroom benefiting from access to a terrace where a table and two chairs are waiting for you, where you can enjoy a romantic moment and a glass of local wine before joining the rest of the guests for a fabulous tailor made three course dinner. The beautifully designed interior of Villa Sa Punta De S'Aguila with all the mod cons comes with a Sonos sound-system, laptop, TV and Playstation 4. If you want to make the most of the beautiful weather step outside to enjoy the Mediterranean gardens, private heated swimming pool, shared tennis court, table tennis or just simply sunbathe on the terraces and basque in the Mediterranean sunshine whilst enjoying the magical views. Rest assured that you will not want to leave this Mallorcan haven. 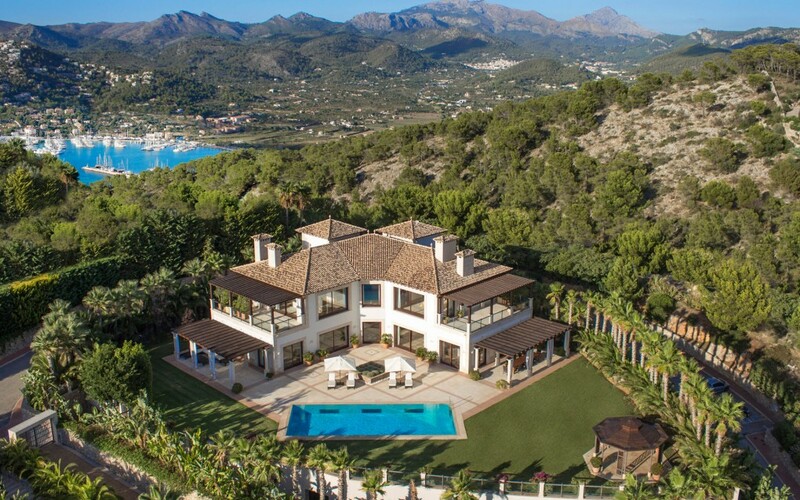 Price is based on a fully exclusive basis of Villa Sa Punta De S'Aguila. The rate includes a daily continental breakfast and lunch and dinner with complimentary drinks for six nights of your stay. • Bedroom 1: Master bedroom with spacious en-suite bathroom and access to terrace. • Bedroom 2: Double bed with en-suite shower room and access to terrace. • Bedroom 3: Double/Twin bedroom with en-suite shower room and access to terrace. • Bedroom 4: Double/Twin bedroom with en-suite shower room and access to terrace. • Bedroom 5: Double bedroom with walk in wardrobe, an en-suite bathroom and access to to private terrace.